Over the next six weeks, the Boston Summer Seminar (BSS) blog will be profiling the four sites at which BSS participants are invited to conduct research during their residency in Boston. We hope these profiles will encourage you in your exploration of each institution’s holdings, and prompt helpful conversations with the Seminar Director and Seminar Archivists in preparing your proposal. We begin this week with the 2015 host institution: the Massachusetts Historical Society. Boston Summer Seminar meetings will be held Tuesdays and Thursdays in the intimate space of the MHS Seminar Room. MHS Photo Archives. Founded in 1791 the Massachusetts Historical Society is an invaluable resource for American history, life, and culture. Its extraordinary collections tell the story of America through millions of rare and unique documents, artifacts, and national treasures, including the personal papers of three presidents—John Adams, John Quincy Adams, and Thomas Jefferson–and their families. Through its research library, online resources, publications, exhibitions, and programs, the MHS makes its holdings accessible to anyone with an interest in the people and events that shaped our country. Spanning four centuries, the Society’s collections—the letters, diaries, and other personal papers of individuals and families, as well as their books, photographs, pamphlets, maps, newspapers, historical artifacts, and works of art—have become essential primary sources for the study and understanding of American history. It is possible to see, from the wide variety of projects which have been awarded fellowship funding in recent years, that the MHS collection supports a broad range of topical and methodological inquiry. 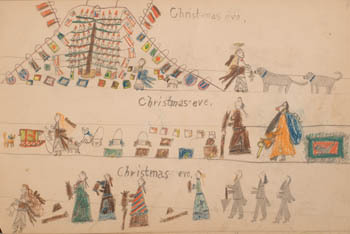 Bertha Louise Cogswell drawing books, circa 1876-1880. Vol 1, page 15. Collection of the Massachusetts Historical Society. The library offers a number online tools through which researchers can explore the holdings of the MHS from a distance. 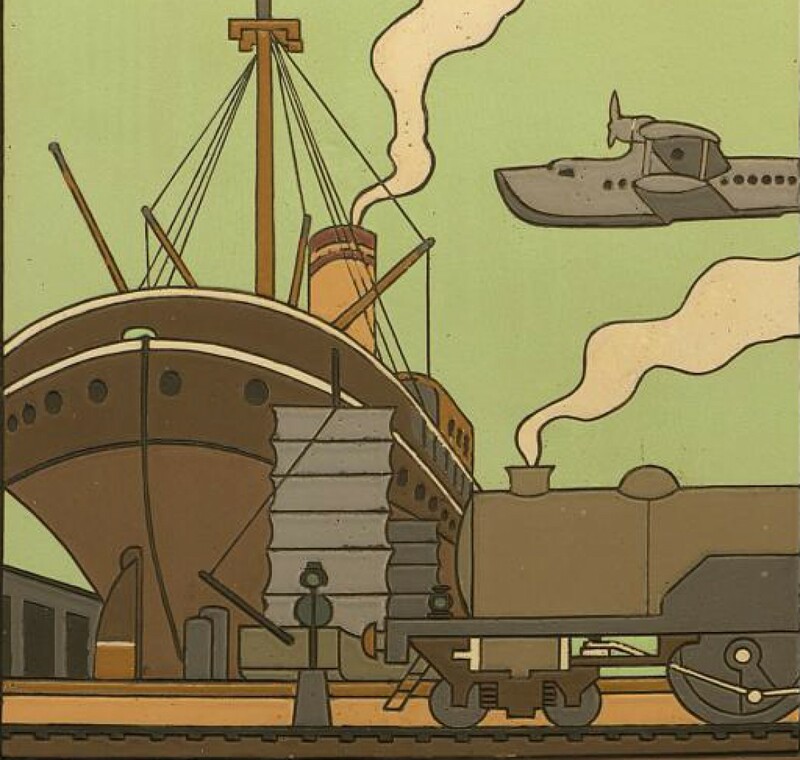 For a broad sense of the collection, we encourage you to begin at the Online Resources page, which showcases a broad range of digital content, from carefully curated online exhibitions to fully digitized collections available for remote research. The online catalog, ABIGAIL, offers approximately 187,000 records describing the print, manuscript, photographic, art, and artifact collections. Many of the manuscript collections also have detailed collection guides that allow researchers to learn more about a specific collection or conduct keyword searches across all collection guides for a specific name, place, topic, or event. 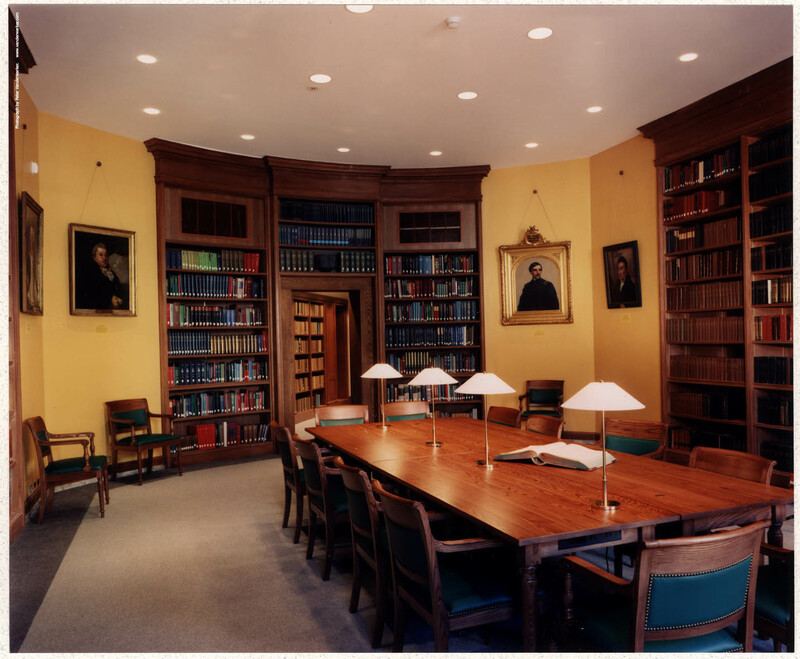 The MHS has a lively social media presence, maintaining a Facebook page, two Twitter accounts (@MHS1791 and @MHS1791_Ref), YouTube channel, streaming audio, and a blog, The Beehive, featuring contributions by staff, and occasional guest posts by researchers, highlighting items of note from collections as well as providing a glimpse into the busy life of staff, library users, and other visitors at the Society. We encourage using all of these resources to gain a sense of the full breadth and depth of what the MHS has to offer.